Renewable energy – hydroelectric, biomass, geothermal, solar and wind – amount to about 10% of our total energy consumption. Nuclear 9%, Crude oil 19%, natural gas 28%, and coal 15%. 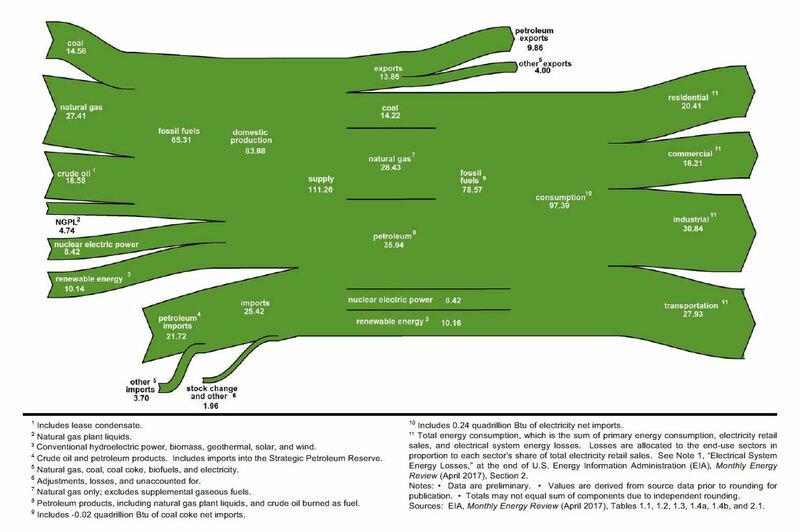 The most remarkable to me: we use 38.52 QBTU to generate electricity, but 23.83 QBTU of that is “conversion loss,” and only 13.15 QBTU of that energy actually is used as electricity. Ninety-three percent of coal consumption in the US is used to generate electric power. 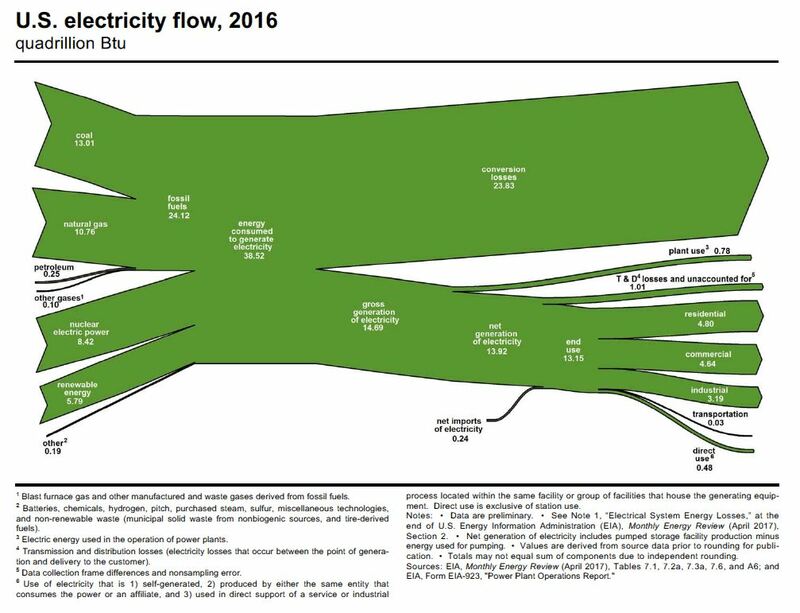 Electric power accounted for 100% of nuclear power consumption, 91% of coal consumption, and 55% of renewable energy consumption. 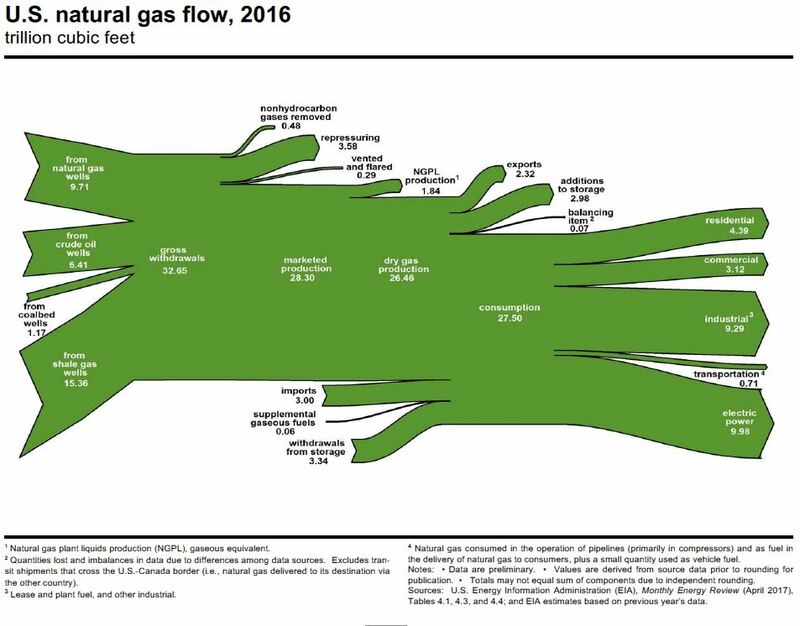 The US produced 15 trillion cubic feet of natural gas in 2016 from shale gas wells, 47% of total gas production. An unknown additional portion of shale gas production was from shale oil wells.